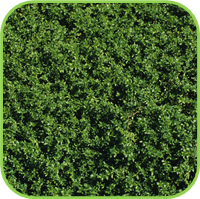 A hardy, small woody shrub with velvety, textured oval green-grey leaves. Sage tolerates most climates however it does not like to be over watered. Requires really good drainage and a slightly alkaline soil. The foliage is used in pot pourii and in natural insecticides. Shrub. H:1.5m W:1m. 12cm, 17cm. 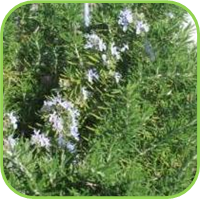 Hardy shrub with thick velvety grey leaves and blue flowers. The leaves are used in a variety of dishes. An infusion of leaves can ease a sore throat. Good companion plant for strawberries, carrots and cabbage. Shrub. H:80cm W:6cm. 12cm, 17cm. Fast growing with fiery red flowers and a pineapple aroma. The leaves and flowers can be used in fruit punch, fruit salads. Shrub. H:1m W:60cm. 12m, 17cm. 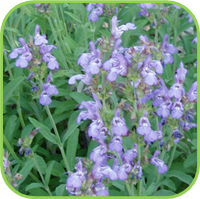 Hardy shrub with thick velvety purple leaves and blue flowers. The leaves are used in a variety of dishes. A infusion of leaves can ease a sore throat. Good companion plant for strawberries, carrots and cabbage. Shrub. H:80cm W:60cm. 12cm, 17cm. 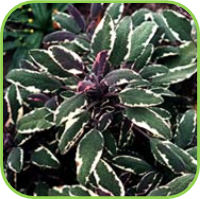 Hardy shrub with thick velvety green, purple and cream leaves and blue, pink or white flowers. The leaves are used in a variety of dishes. An infusion of leaves can ease a sore throat. 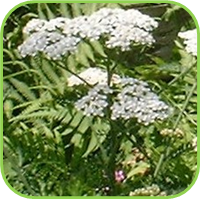 Good companion plant for strawberries, carrots and cabbage. Shrub. H:80cm W:60cm. 12cm, 17cm. Attractive gold and green foliage. Used in cooking. Ideal as an accent plant or in containers. shrub. H:30cm W:30cm. 12cm, 17cm. Southern Wood – ‘No More Mosquitos’. 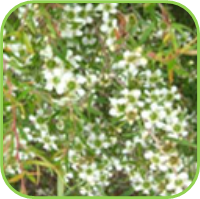 Attractive small bush with pungent, grey-green leaves. 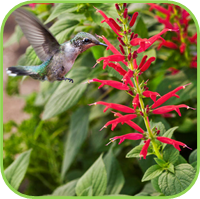 The whole plant deters insects and can therefore be used as general insect repellant. Should be cut back in winter and tolerates most climates. Shrub. H:1m W:60cm. 12cm, 17cm. 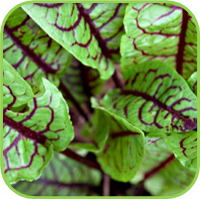 Lance shaped green leaves with deep red veins. Lemon flavored leaves that can be added to fresh summer salad and soups. Perennial. H:45cm W:34cm. 12cm, 17cm. 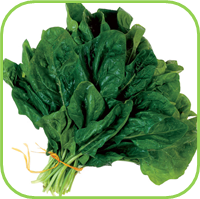 Spinach but with bright yellow, cream, red or orange stems. A very colorful addition to the vegetable patch. Perennial. H:40cm W:30cm. 12cm, 17cm. 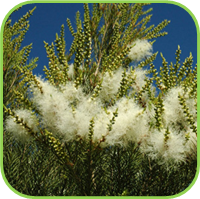 This dense bushy shrub is said to be 300 times sweeter than table sugar, with practically no calories, cholesterol free. Suitable for diabetics and dieters. No known side effects. Even sweeter when forming flower buds. Use crushed dry leaves or infuse a leaf for 5min in boiling water. 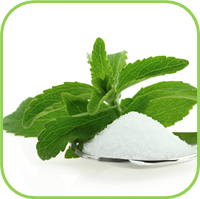 1 tsp stevia leaf in 1 cup water tastes as sweet as 1 full cup of sugar. Shrub. H:60cm W:40cm. 12cm, 17cm. 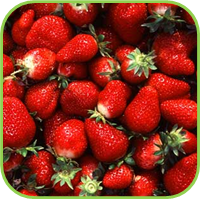 High yielding varieties with good fruit flavor and exceptional colour and firmness. Bears the first flush of fruit in spring and is seldom without fruit all summer long. The fruit is high in vitamins and minerals. Ground cover. H:20cm W:spread. 12cm, 17cm. 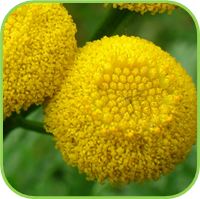 A vigorous plant with fern-like foliage and yellow button, flower clusters. Makes a good cut flower and dries well. Very effective insect repellant. Good compost activator. Companion plant with fruit trees, roses, grapes and cabbages. Needs good drainage and room to spread. Medicinal. Shrub. H:1.2m W:1m. 12cm, 17cm. The queen of all culinary herbs. The thin pointed anise flavored leaves are the magical ingredient in ‘béarnaise’ and ‘tartare’ sauces. Requires well drained composted soil. Dies down in winter. Replace every four years. Perennial. H:90cm W:90cm. 12cm, 17cm. 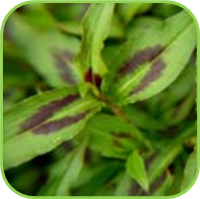 Fine leafed, drought resistant and much prized for its antifungal and anti bacterial properties. 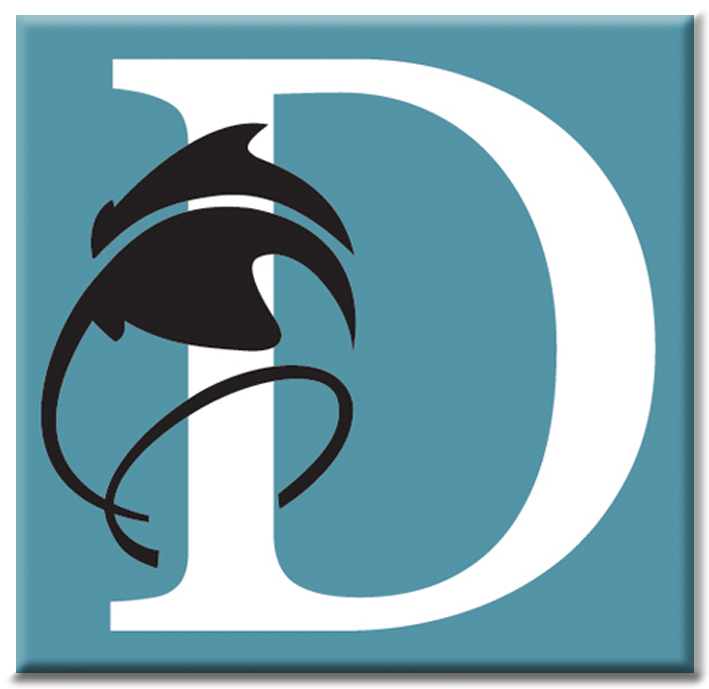 Used in cosmetics, mouthwashes and soaps. Rub a few leaves on window sills to repel flies and mosquitoes. The leaves have a strong lemon aroma. Shrub. H:4m W:2m. 12cm, 17cm. 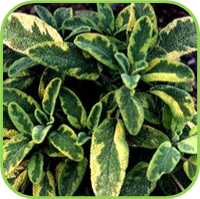 Fine leafed, drought resistant and much prized for its antifungal and anti bacterial properties. Used in cosmetics, mouthwashes and soaps. Rub a few leaves on window sills to repel flies and mosquitoes. Shrub. H:4m W:2m. 12cm, 17cm. 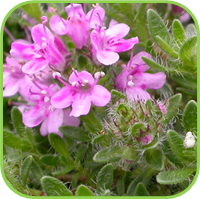 A great, free flowering rockery plant with aromatic grey hairy leaves and pink flowers is summer. Leaves can be used in teas, cooking, in salads and stir-fry. 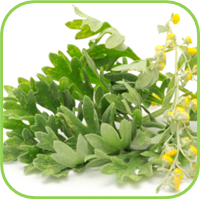 The leaves can be used in infusions for medicinal purposes and as natural insecticides. Ground cover. H:5cm W:spread. 12cm, 17cm. Mauve flowers in summer with small mid green fragrant leaves. Used in stews, soups, salads and sauces. 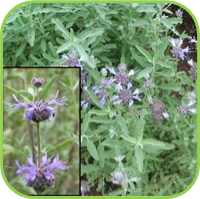 Medicinally has antifungal and antibacterial properties. Ground cover. H:30cm W:30cm. 12cm, 17cm. Small dark green leaves and bright red flowers in summer. Highly decorative and aromatic. Good ground cover. Ground cover. H:7cm W:spread. 12cm, 17cm. 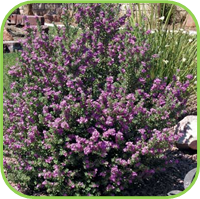 Tiny, lemon scented, green and gold leaves with small purple flowers in summer make this thyme a really good ground cover and container plant. Prefers light well drained soil.Ground cover. H: 5cm W:spread. 12cm, 17cm. 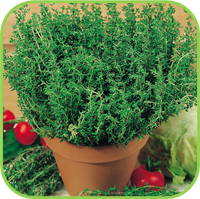 French Thyme is one of the best culinary varieties, used in herb vinegars, breads, and butters. 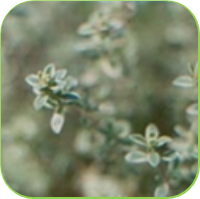 It is a low-growing, bushy thyme with grey narrow leaves. Once established, it tolerates drought very well and requires little care. Honeybees love the white flowers of this Thyme plant. Ground cover. H:30cm W:30cm. 12cm, 17cm. 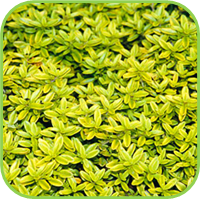 Tiny bright yellow, fragrant leaves with small pink flowers in summer make this thyme a really good ground cover. Prefers light well drained soil. 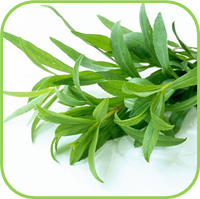 The highly aromatic flavor filled leaves are used in traditional Mediterranean cuisine. Medicinal. Ground cover. H:30cm W:30cm. 12cm, 17cm. 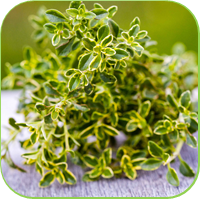 Tiny bright green, fragrant leaves with small white flowers in summer make this thyme a really good ground cover. Prefers light well drained soil. The highly aromatic flavor filled leaves are used in traditional Mediterranean cuisine. There are amny medicinal uses for antiseptic properties found in the leaves. Ground cover. H:30cm W:30cm. 12cm, 17cm. 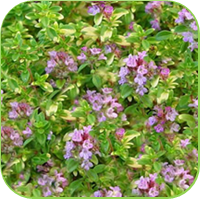 Tiny, lemon scented, green and gold leaves with small purple flowers in summer make this thyme a really good ground cover and container plant. Prefers light well drained soil. Great addition to many dishes where a lemony flavor is required. Medicinal. Ground cover. H:20cm W:spread. 12cm, 17cm. Tiny green and white, fragrant leaves with small white flowers in summer make this thyme a really good ground cover, especially under roses. Prefers light well drained soil. The highly aromatic flavor filled leaves are used in traditional Mediterranean cuisine. Ground cover. H:30cm W:30cm. 12cm, 17cm. 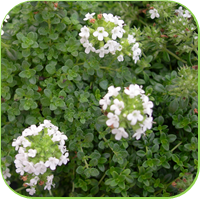 Tiny bright green, fragrant leaves with small white flowers in summer make this thyme a really good ground cover. Prefers light well drained soil. 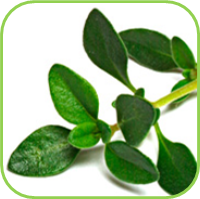 The highly aromatic flavor filled leaves are used in traditional Mediterranean cuisine. Medicinal. Ground cover. H:30cm W:30cm. 12cm, 17cm. Compact cocktail tomatoes with small round sweet fruit. 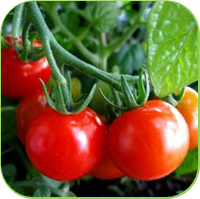 These small red tomatoes are wonderful in salads and sandwiches and make a great garnish. Annual. H:40cm W:30cm. 12cm, 17cm. Green, narrow pointed leaves with a maroon V shape marking near the base. 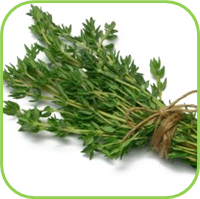 The leaves are strongly aromatic and have a ‘hot’ coriander flavor. The leaves can be added during the cooking process as it will not lose its flavor. Perennial. H:20cm W:spread. 12cm, 17cm. 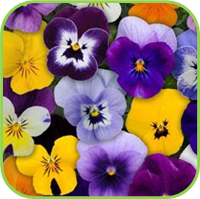 Small bright, edible-pansy like flowers to add to salads, decorate cakes and to be used as garnish. These small versatile plants make wonderful boarder plants when massed and are ideal to add colour to container and the herb garden. Annual. H:15cm W:15cm. 12cm, 17cm. Eriocephalus africanus (Indigenous to South Africa). Small multi-branched shrub with clusters of small silver, hairy leaves, borne along the branches and attractive white or slightly purplish flower heads that are followed by conspicuous tufts of seed hair. Medicinal properties. Shrub. H:80cm W:60cm. 12cm, 17cm. 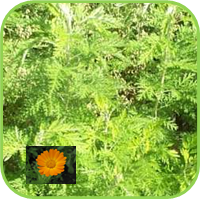 Pungent feathery grey green leaves with very fine short silky hairs and yellow flowers in summer. The leaves and the flowers are very bitter. Used as an insect repellant. An important medicinal plant. Shrub. H:1.5m W:80cm. 12cm, 17cm. Pungent grey-green leaves with silky hairs and yellow flowers in summer. The leaves and the flowers are very bitter. Used as an insect repellent. An important medicinal plant. Shrub. H:1.5m W:80cm. 12cm, 17cm. 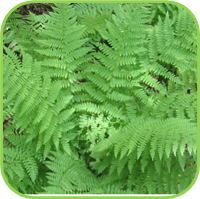 Fern like leaves with clusters of white flowers. The leaves make a medicinal tea. Crushed the leaves can be used to stop bleeding of minor wounds. Ground cover. H:30cm W:spread. 12cm,17cm.